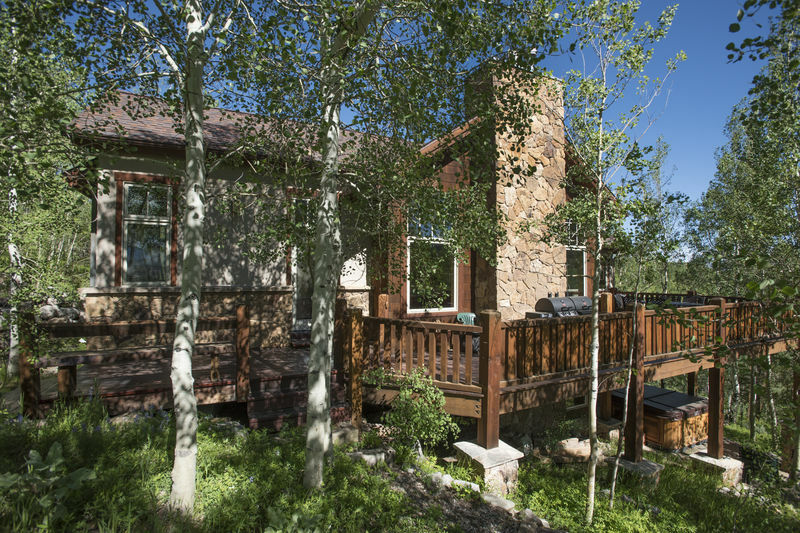 Ruby Ranch is a gated community located in the heart of Silverthorne and Summit County! 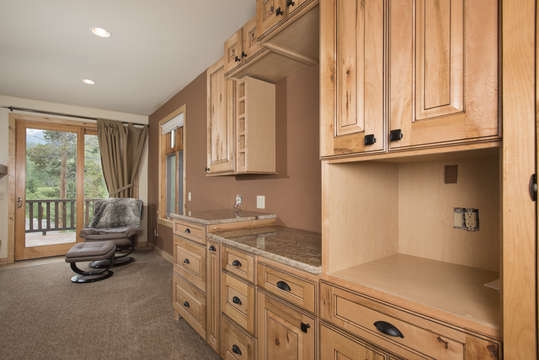 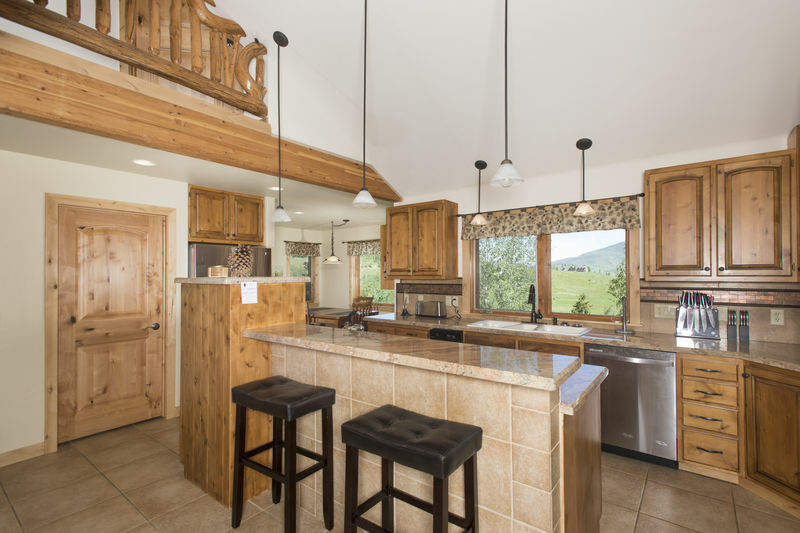 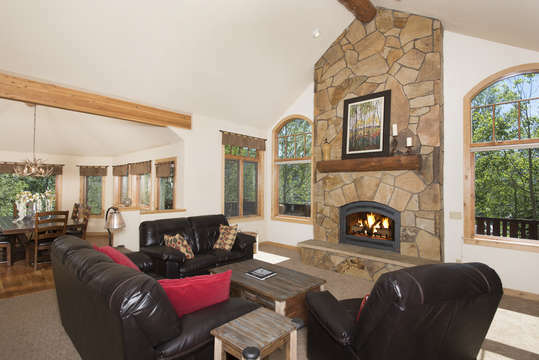 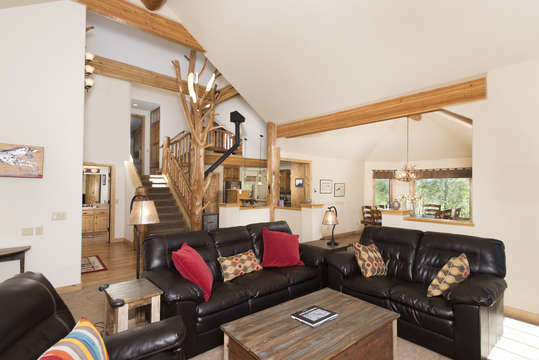 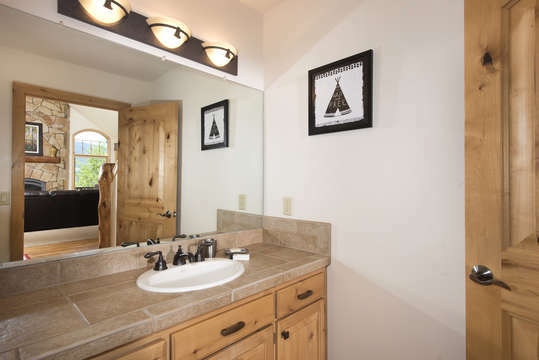 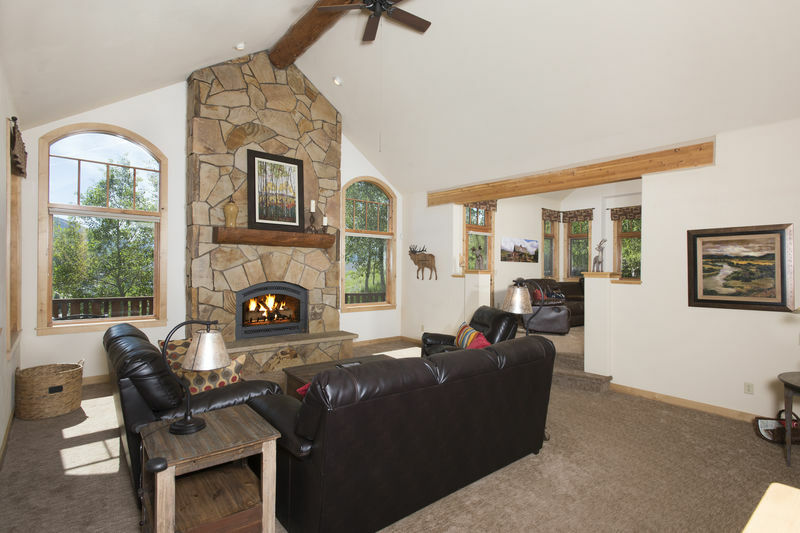 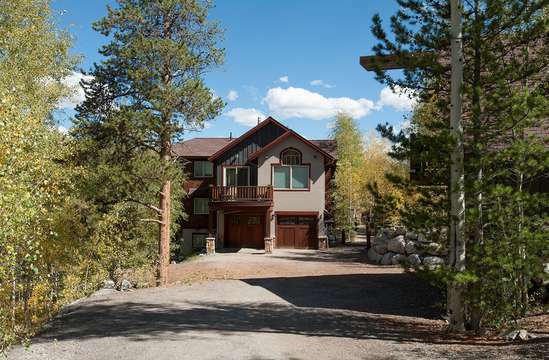 The location is centrally located within 20-40 minutes of 6 major ski areas in Colorado. 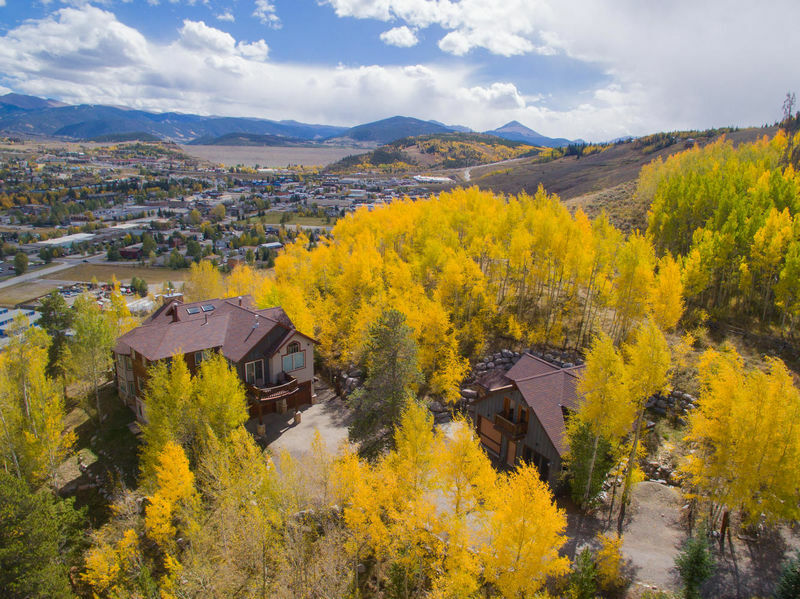 Keystone Ski Resort, Arapahoe Basin, Breckenridge, Copper, Vail and Beaver Creek are all easily accessible from this beautiful private community. 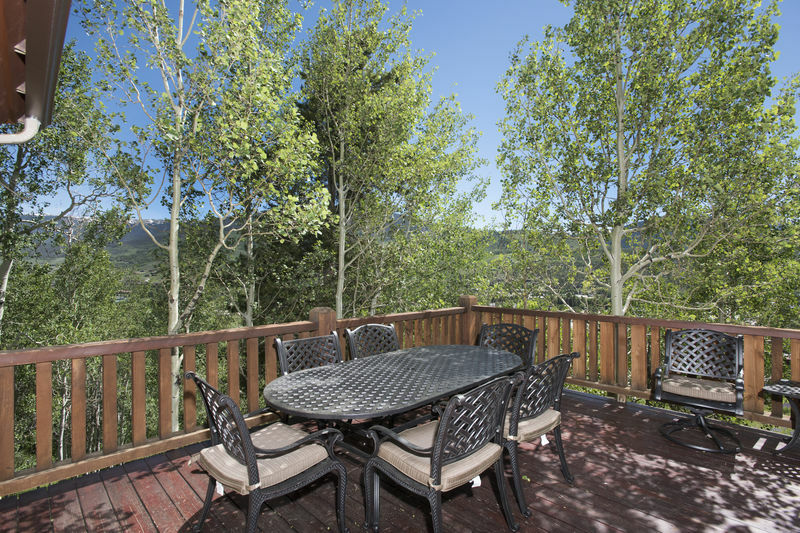 Just minutes away from shopping, restaurants and activities, you cannot miss staying in Ruby Ranch! 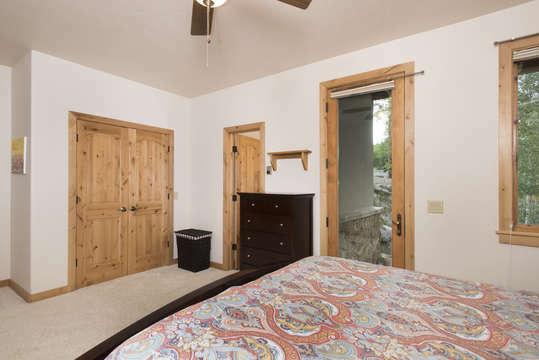 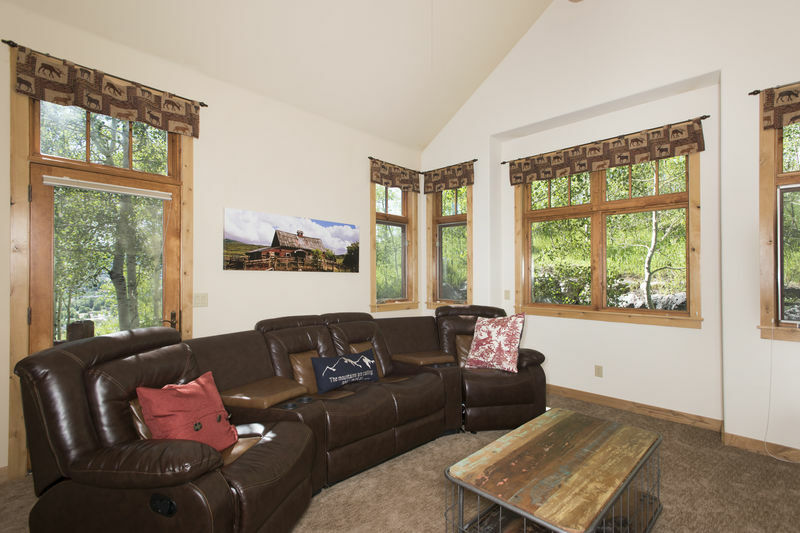 Ruby Ranch is a spacious private home complete with multiple living areas and can sleep up to 12 people comfortably. 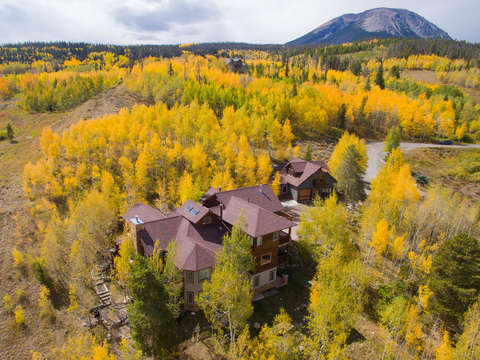 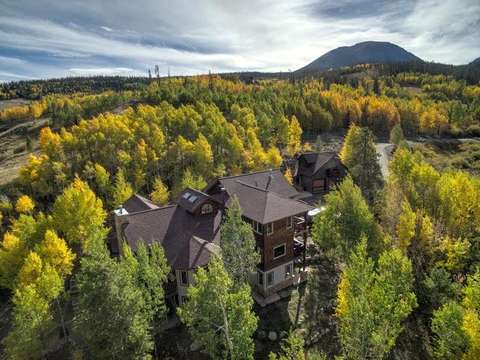 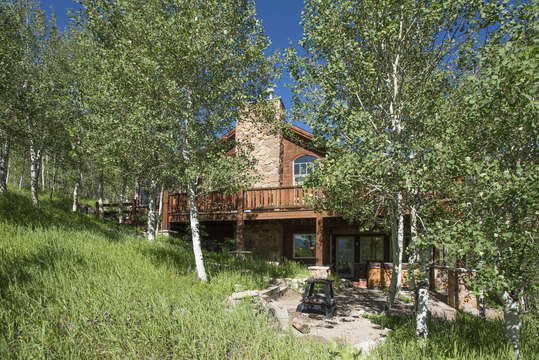 This four bedroom, five bathroom home spans over 5,300 square feet of living space and offers amazing views of the mountains and surrounding Aspen groves. Located at the end of Ruby Road, the home is secluded with easy access to and from the Ranch. 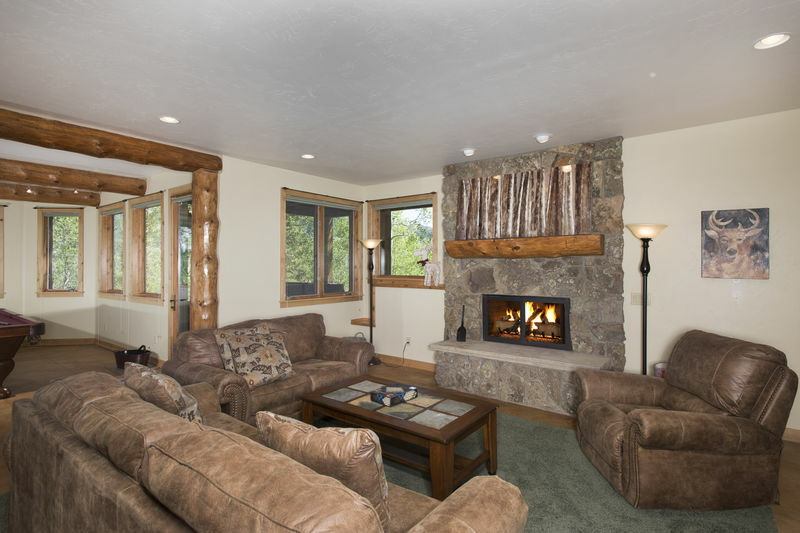 The spacious formal living room is equipped with comfortable furnishings, a gas fireplace, vaulted ceilings and opens to both the dining room and entertainment nook. 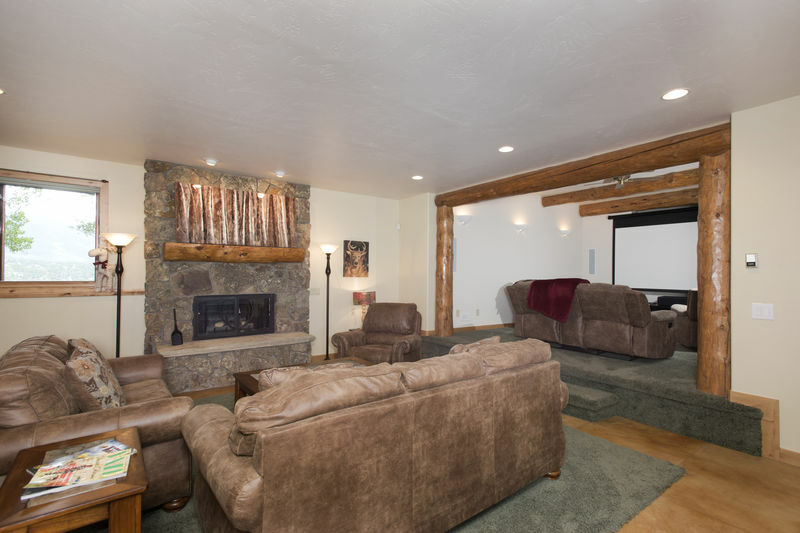 Step up from the living area and the entertainment nook offers a cozy setting complete with theatre reclining chairs, large flat screen television, access to the spacious deck and mountain views. 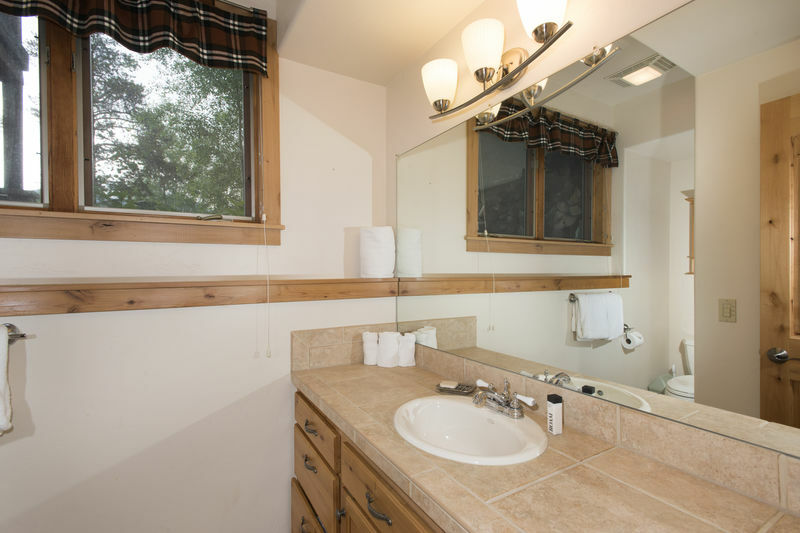 Also located off the main entry is a 3/4 bathroom. 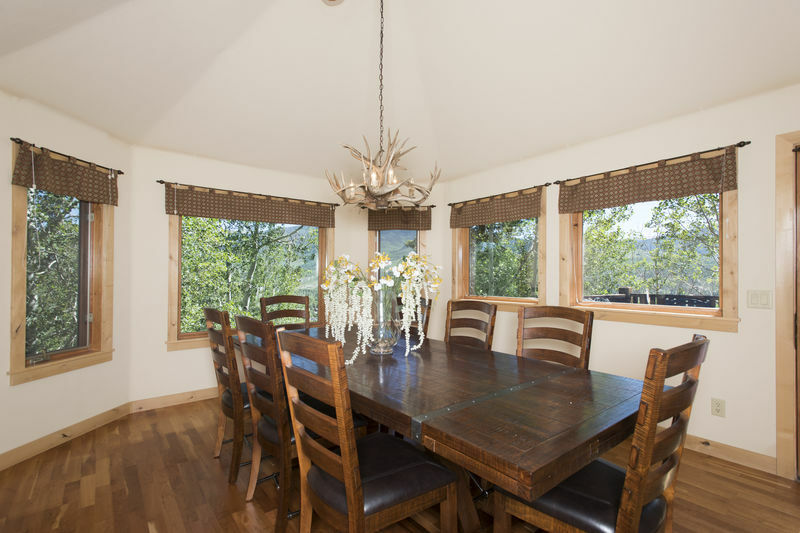 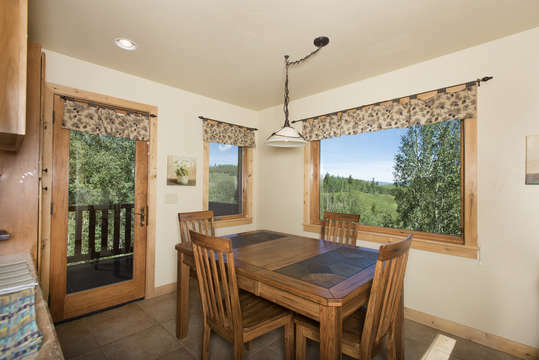 The dining room is furnished with a table and eight chairs, access to the deck and mountain views. 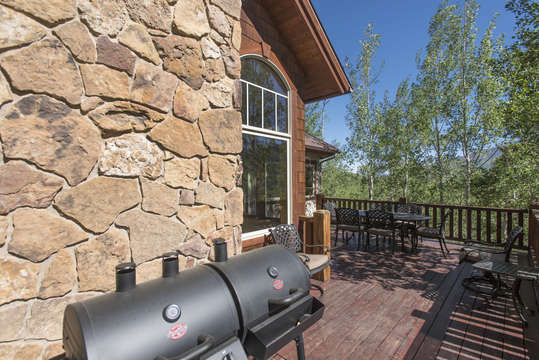 The large deck is furnished with a table and chairs with amazing mountain views. 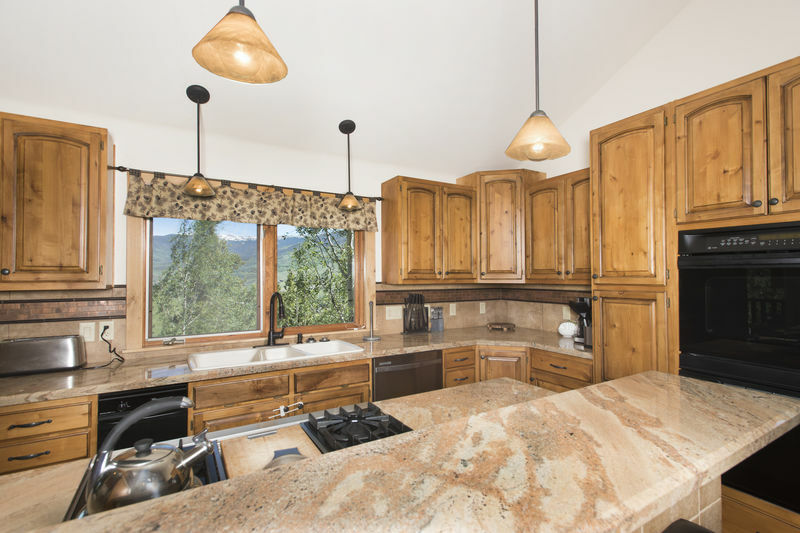 Near the dining room is a large kitchen with granite counters, double oven, a breakfast bar for 2 and small deck. 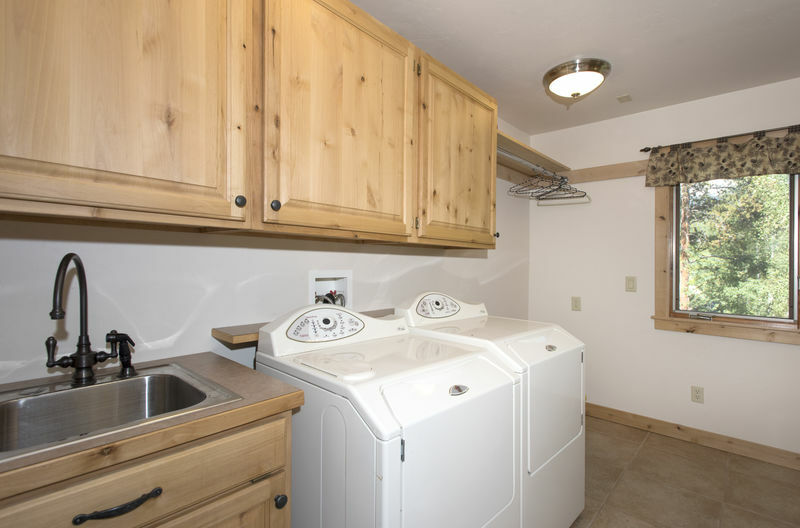 A spacious pantry is located off the kitchen and includes a full size washer and dryer. 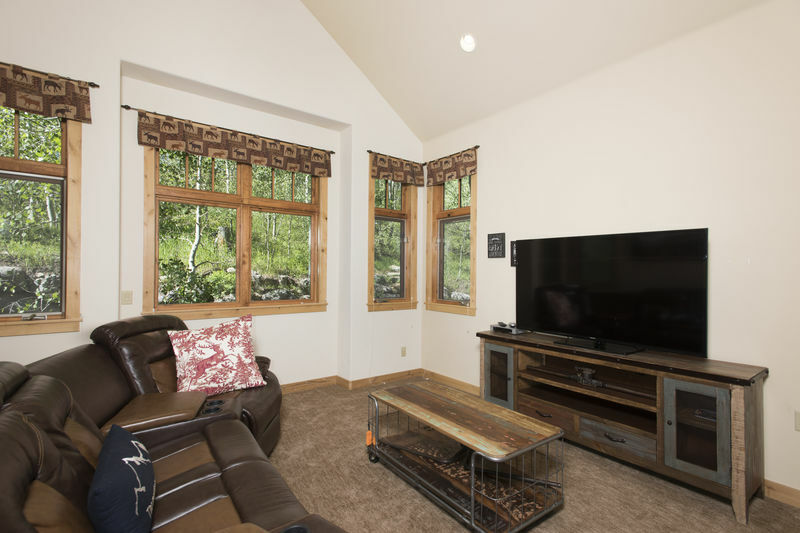 Upstairs from the main living area is the master bedroom which offers a king bed, double gas fireplace, spacious deck with seating, walk in closet and flat screen television. 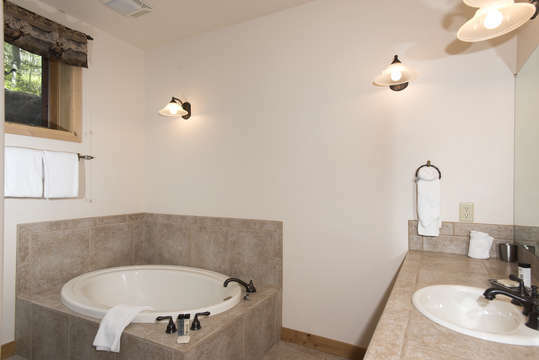 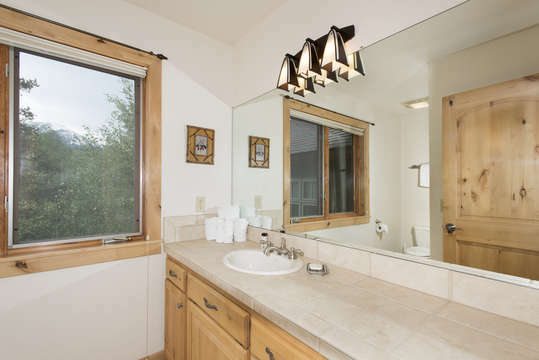 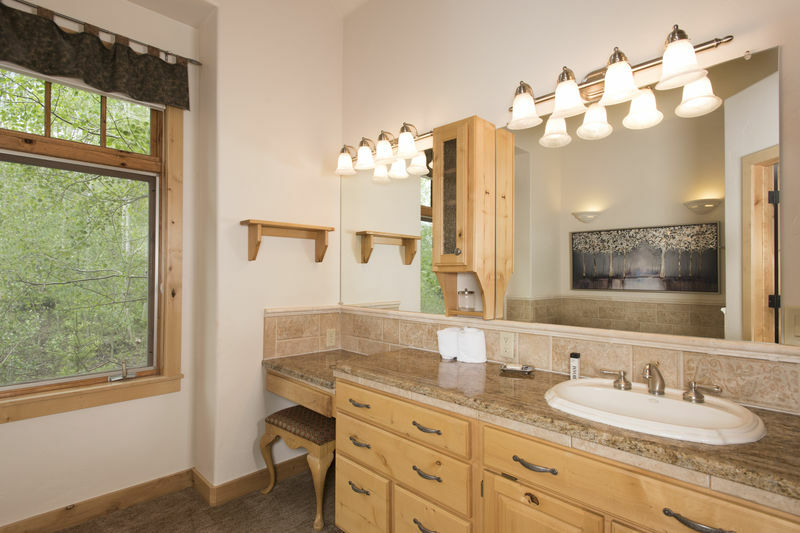 The en suite master bathroom offers a jetted tub, granite counters and separate shower. 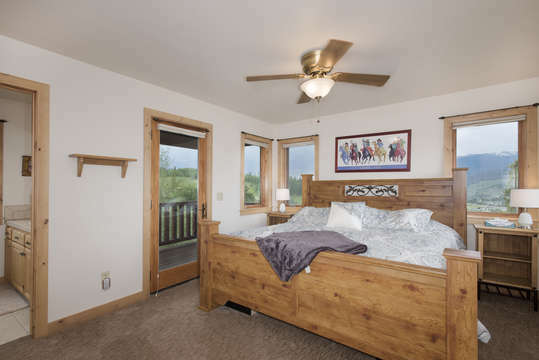 Up another half flight of stairs is a 2nd master bedroom with a king bed and a twin daybed/trundle that can also convert into another king bed. 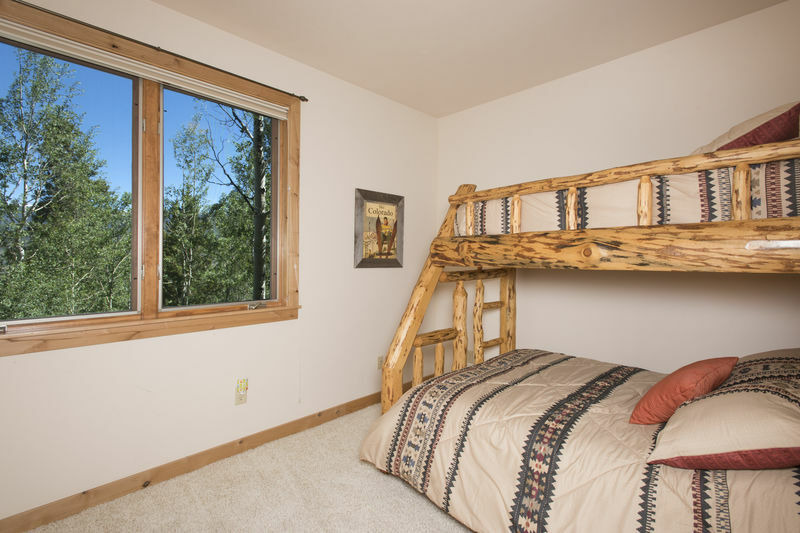 This bedroom includes a small deck with mountain views. A full en suite full bathroom is also located off the bedroom. 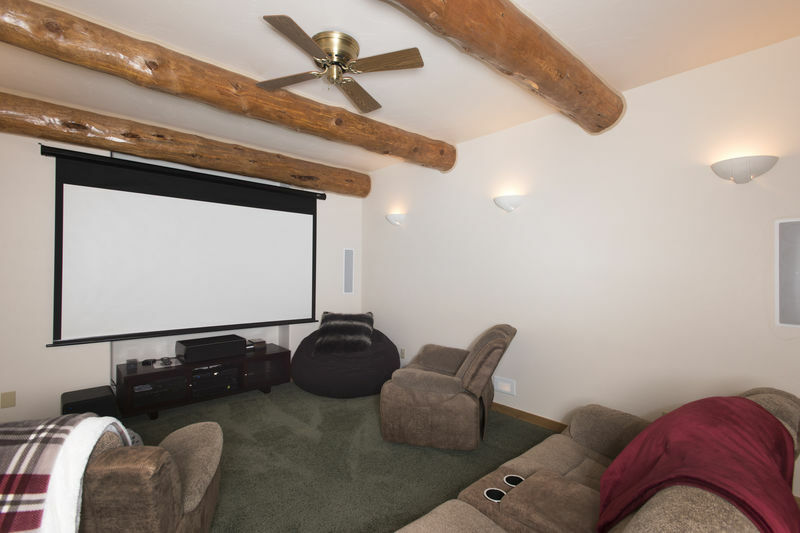 The lower level consists of a game nook with a billiard table, an additional family room with a queen sofa sleeper and gas fireplace, a media room with a large movie screen and seating, full wet bar and a full bathroom. 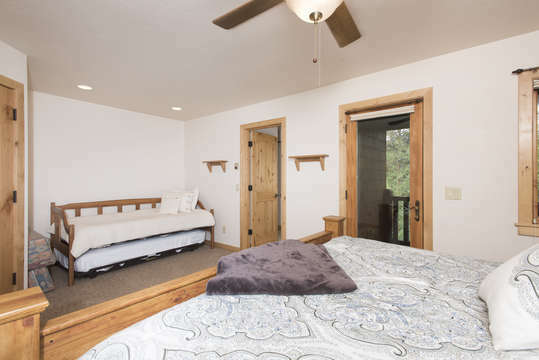 Also on this level is the 3rd bedroom furnished with a queen bed, en suite full bathroom and walkout patio. 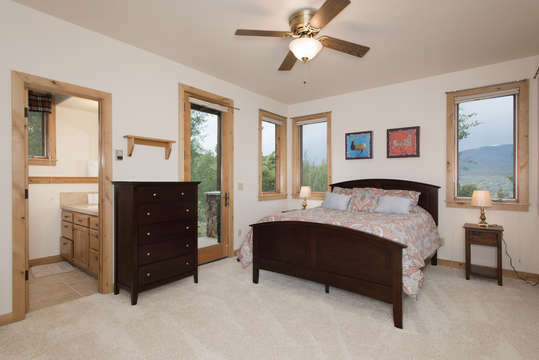 The 4th bedroom includes captains bunks, a perfect room for the children! 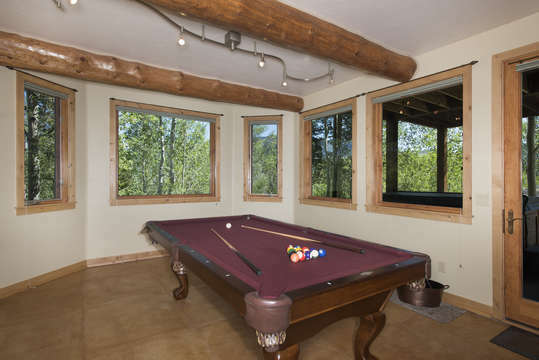 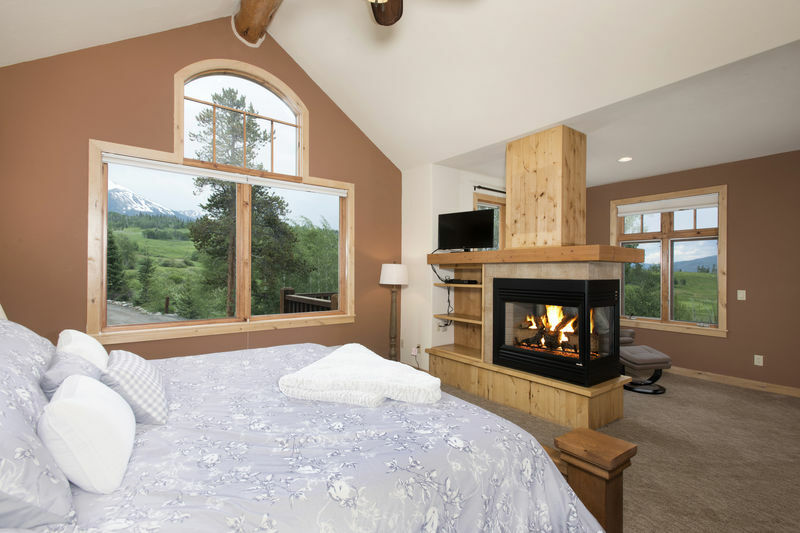 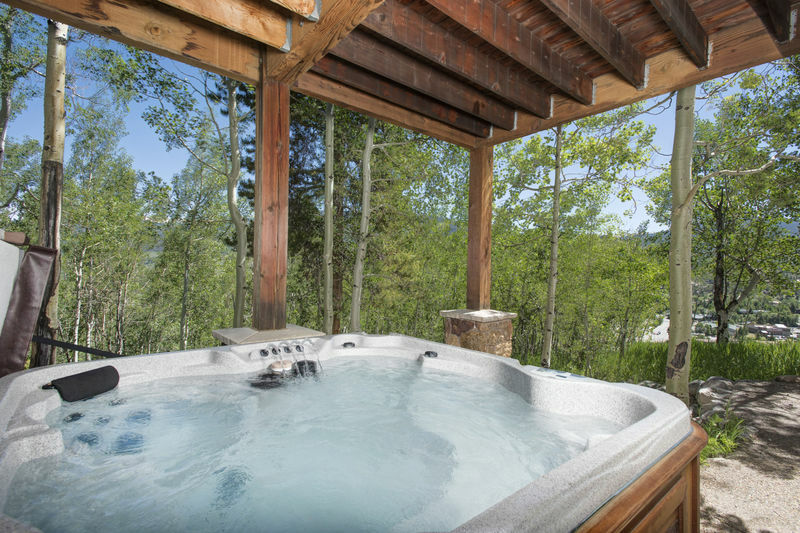 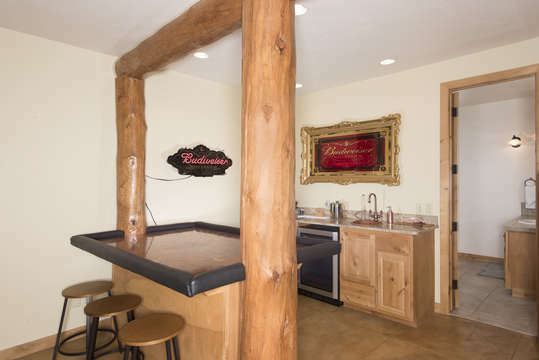 The private hot tub is located off the billiard room and offers fabulous mountain views. Ruby Ranch includes complimentary Wifi, a two car garage and plenty of parking in the driveway. A 4-wheel drive is recommended during the winter months. 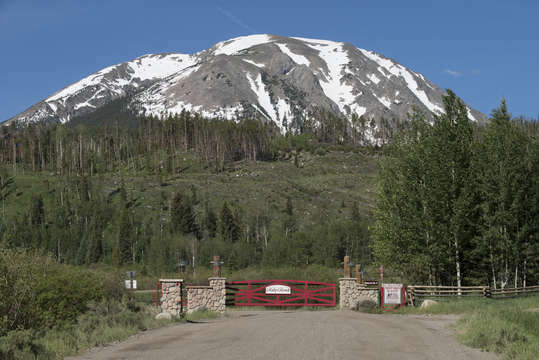 The Ruby Ranch subdivision is a private gated community, outdoor parties and weddings are not permitted. Downstairs living room: Queen sofa sleeper.